Last night, I finally made my entrance into this new high-tech world of ours. I walked into my local Verizon store, and told the first sales representative I saw that I was ready to buy a smart phone. Yes folks, it true. I've been holding onto what I once thought was a smart phone for years now. Except, I guess my old phone was long ago demoted to "Multimedia" phone. 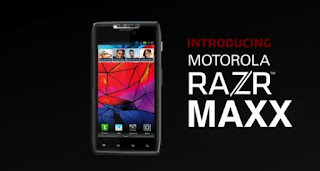 Of course, not really knowing what I needed, and motivated by jealousy, since the oldest person in the office where I work finally got a smart phone of his own leaving me the only person still clinging hopelessly to the twentieth century, I allowed the salesperson to talk me into the latest high-tech gadget - the Motorola Droid Razr Maxx! 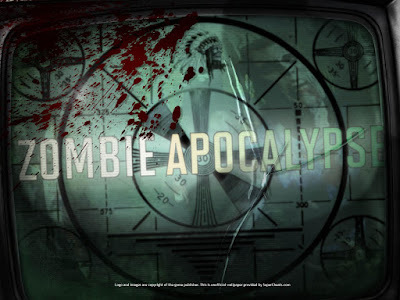 I wanted to create a huge post to serve as a guide for surviving the coming zombie apocalypse, but that would've taken a long time to develop. Frankly, we don't have that kind of time! So, instead, I'll post thoughts in a series of small sections, each one covering a specific subject. For this post, I'll talk about the most basic of needs (outside of a good supply of soft, yet strong toilette paper) during the zombie apocalypse - weapons. I'll evaluate several weapons by comparing them to those found on the AMC television series, The Walking Dead. Yes, I'm one of THOSE people. I've recently become a fan of the show. I even stay up extra late and watch the after show, The Talking Dead. Onward ... to the weaponry! In the show, Daryl carries a crossbow. He also keeps a handgun in the side pouch of his motorcycle when Rick's son hasn't stolen it from him.